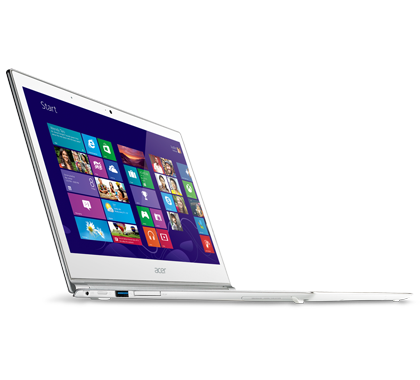 The new Aspire S7 (the S7-393 to be precise) comes with your choice of Intel’s new 5th Generation Core™ processors. These deliver improved overall performance and graphics, while also sucking less power. 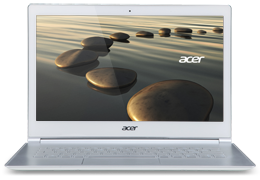 That’s why the new Aspire S7 is even more powerful, and has longer battery life. You can now go even longer between charge times. The new Aspire S7’s improved hardware doesn’t just make it more powerful, it also helps it score even higher in battery-life tests. With up to 8.5 hours2 of on-the-road power, you can go all day and do it all. 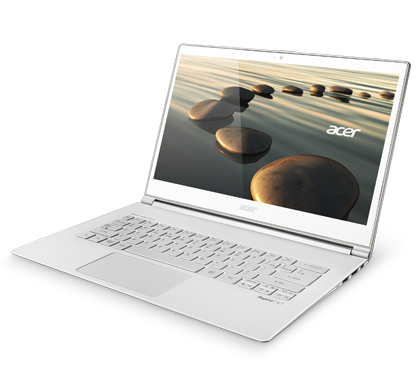 With cutting-edge 802.11ac wireless technology firing on dual channels, the new Aspire S7 transmits and receives airborne data up to three times faster than the average laptop does3. 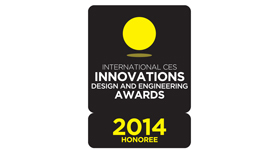 Download and upload movies (and do pretty much anything on the web) at breathtaking speeds. 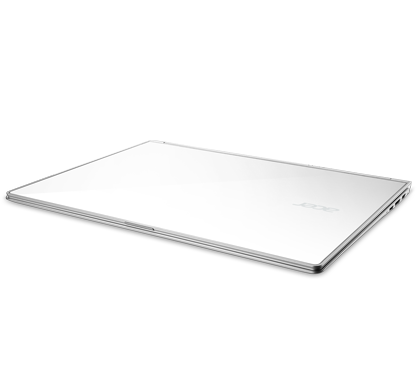 The new Aspire S7 is beautifully thin and delightfully light. With a thickness of only 12.9mm, and a weight of only 1.3kg, this slender-but-strong beauty disappears into your carry bag without a whisper. It’s so easy to carry, you’ll forget it’s there. This gorgeous machine’s uniquely slender display lid is made of Corning® Gorilla® Glass, so it’s very strong and rigid. 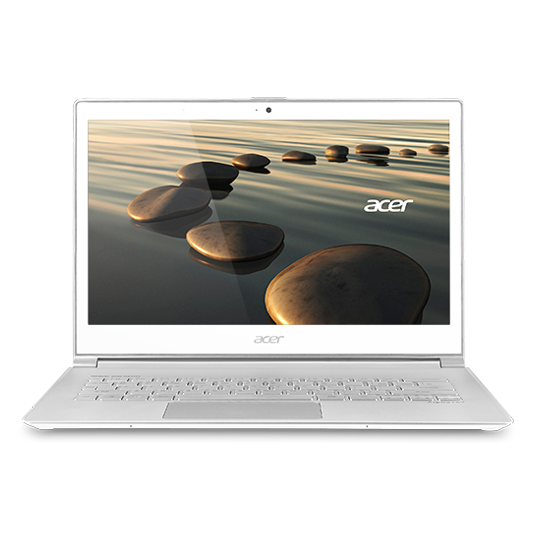 The Aspire S7 also combines an aluminum unibody design with a strengthened frame, to make it one of the strongest and most stable laptops around. 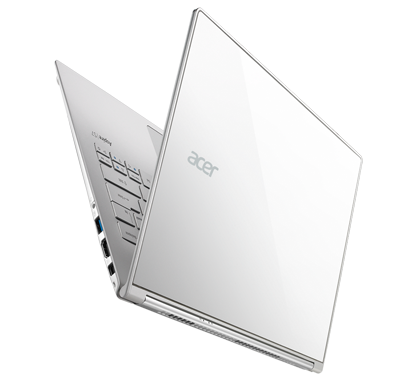 The Aspire S7 has a dual-torque hinge, which means the hinge locks the screen in position when you tap on it, but it releases immediately when you open or close the lid. This gives you a stable touch experience, plus effortless smoothness when you open and close the lid. The wider shape and very high resolution of the Aspire S7’s WQHD touchscreen1 shows movies and images the way they were meant to be seen: perfectly. Open it all the way to flat, punch a hotkey, and the image flips around so you can easily share with others. 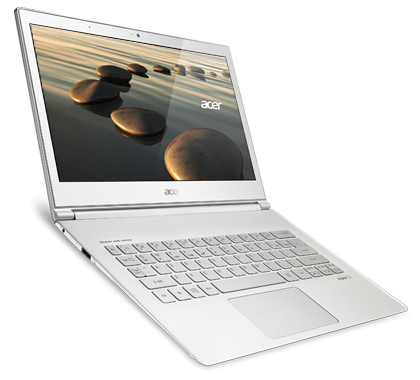 With its RAID 0 Solid State Drive, the Aspire S7 reacts up to twice as fast as laptops with normal SSDs. A light-sensing keyboard backlight automatically kicks in when it gets dark, and it glows brighter as things get darker. 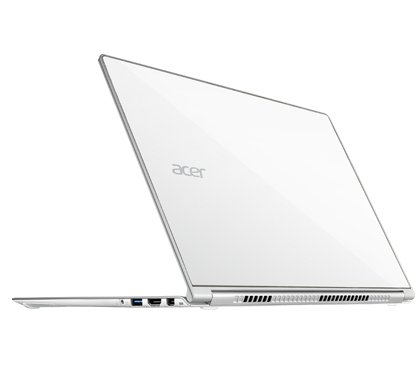 2nd-generation Acer TwinAir cooling makes this Ultrabook™ run cool and quiet, while Acer Purified.Voice technology delivers crystal-clear chats.